Visually and aurally captivating, Faith HiGloss series guitars use a gloss-lacquered Solid Engelmann Spruce top matched to HiGloss finished Solid Rosewood on the back and sides. 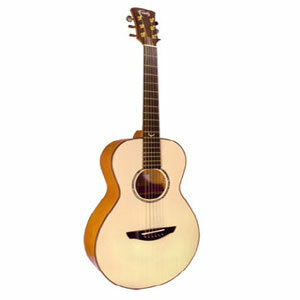 The classic combination of Spruce and Rosewood delivers a bright and harmonically rich timbre that is sure to impress. Faith HiGloss series guitars are bound with Solid Flamed Maple and feature Macassan Ebony fingerboards, headplates, heelplates, bridges and bridge pins. Electro models feature the Shadow NanoFlex II undersaddle pickup and Shadow SH863 preamp system. The visual beauty of the Faith Guitars® Hi Gloss Series is evident from even the briefest glance.